United Airlines apologizes over passenger treament (video Included) – Royal Times of Nigeria. The chief executive of embattled United Airlines unequivocally apologized Tuesday for an incident in which a passenger was dragged off a plane, promising a thorough review of the airline’s practices. The apology came amid a torrent of criticism of the carrier’s actions on a Sunday flight and its initial explanations. In images now seen worldwide, a passenger was forcefully removed and bloodied in the process — the entire event captured on video by passengers and posted on social media. Passenger David Dao, 69, had refused to be “bumped” from the overbooked flight — an airline practice that has now come under increased scrutiny. “I continue to be disturbed by what happened on this flight and I deeply apologize to the customer forcibly removed and to all the customers aboard,” CEO Oscar Munoz said. The comments were in stark contrast to the company’s initial response, in which it seemed to at least partially blame the passenger, inflaming worldwide outrage. 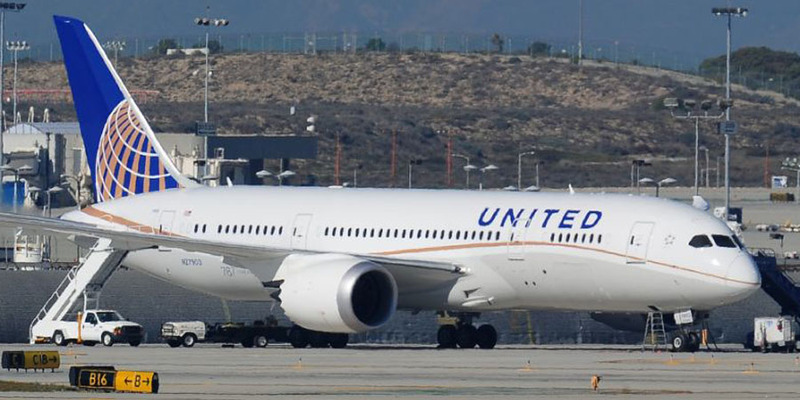 US media published an email Munoz sent earlier to employees, in which he said the passenger “defied” authorities and “compounded” the incident. “Our employees followed established procedures for dealing with situations like this,” the CEO wrote. Munoz said Tuesday the company will conduct a “thorough review” of its procedures, including “how we handle oversold situations” and how the airline partners with airport authorities and law enforcement. He vowed to release the review results by April 30. But the public relations damage was done, with calls for boycotts and the US Department of Transportation promising to review the airline’s actions. “When you watch the video, it is troubling to see how that was handled,” White House Press Secretary Sean Spicer said. Asian and Arab American groups rallied at Chicago’s O’Hare airport Tuesday night, insisting airlines and security personnel improve treatment of minority groups. “We are here to demand accountability and transparency from United and the Chicago aviation police,” said Tuyet Le of the group Asian Americans Advancing Justice. US Congresswoman Jan Schakowsky, also speaking at the news conference, said she was considering legislation to stop the involuntary removal of travellers from air planes. “Once a plane is boarded, no one should be asked to leave,” she said. The furor battered United’s stock Tuesday, which closed down 1.1 percent. The public relations firestorm followed a late March incident in which two teenagers were prevented from boarding a United flight in Denver because they were wearing leggings. An attorney for Dao’s family said he is in a Chicago hospital getting treated for his injuries. “The family of Dr. Dao wants the world to know that they are very appreciative of the outpouring of prayers, concern and support they have received,” said Chicago attorney Stephen Golan. If they were to stop overbooking, “the only way of trying to compensate for that over the long term would be to raise fares on everyone else,” said industry analyst Robert Mann. When such enticements don’t work, airlines have wide latitude under the law.